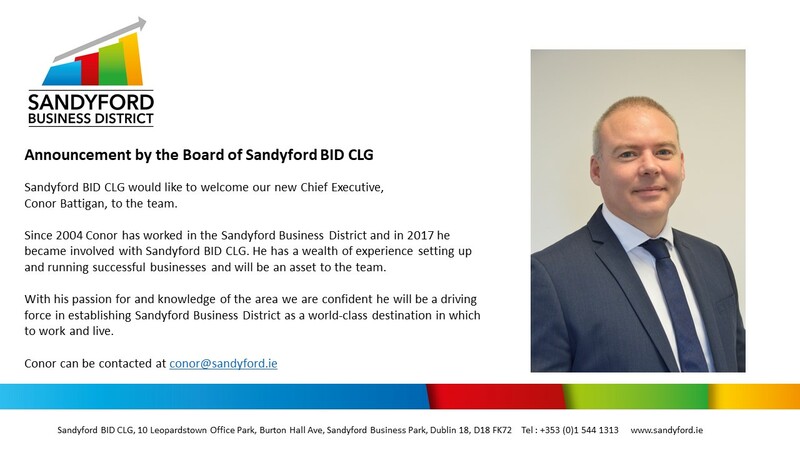 Sandyford BID CLG would like to welcome our new Chief Executive, Conor Battigan, to the team. Since 2004 Conor has worked in the Sandyford Business District and in 2017 he became involved with Sandyford BID CLG. He has a wealth of experience setting up and running successful businesses and will be an asset to the team. With his passion for and knowledge of the area we are confident he will be a driving force in establishing Sandyford Business District as a world-class destination in which to work and live.